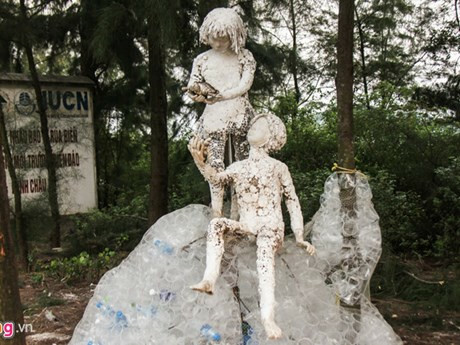 An exhibition showcasing contemporary art works created from waste opened in Da Lat city, the Central Highlands province of Lam Dong on February 8. The event, entitled “Moiland chapter 1”, features works by artist Dae-Hong Kim from the Republic of Korea, Hoang Anh, an artist living and working in Da Lat, and Le Phi Long, who comes from Ho Chi Minh City. All the works are created from waste such as water pipes and bottles, pieces of wood, dry leaves and roots, with a message that everything has its feeling and human beings should not ignore it. This is the first time such form of art has been introduced to the public in Da Lat, but drawn much attention from artists, locals and tourists during the first days of the lunar year. The exhibition will last until March 3.